Have you just entered your payment details and suddenly the transaction page has not loaded? This could very well mean that the 3D Secure verification has failed. You currently have a pop-up blocker installed which is restricting the additional 3D Secure page from opening. 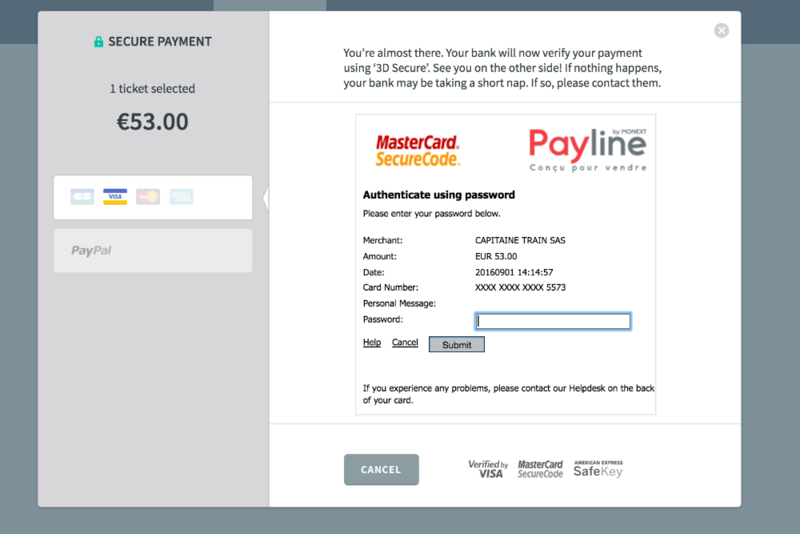 Please disable the pop-up blocker for a few minutes and then you will be able to complete your payment. Your bank is currently not enrolled in the 3D Secure verification programme. This isn't an issue. Just contact us by clicking here. We will solve it right away and you will be able to pay without any hassles. You may be overseas and your bank sends you a netcode SMS. If you are not using the same phone number then you will not receive this SMS. In this case, contact us and we will take care of it ASAP. To find out more about 3D Secure and how to enrol, just read this article. If you have any further questions, please get in touch with us at any time. We are more than happy to help.